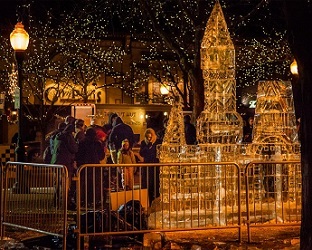 The Plymouth Ice Festival is a world-class event in beautiful downtown Plymouth that is exciting and fun for the whole family. Furthermore, the event is committed to spreading the word about downtown Plymouth and helping the local business community thrive through event outreach and marketing efforts. Sculptures are available for viewing 24 hours a day and will remain standing after the event – weather permitting.